July 24, 2018, at Red Eyes, Grasonville, MD. **Our fishing tournament has filled up. However, we are starting a waiting list. 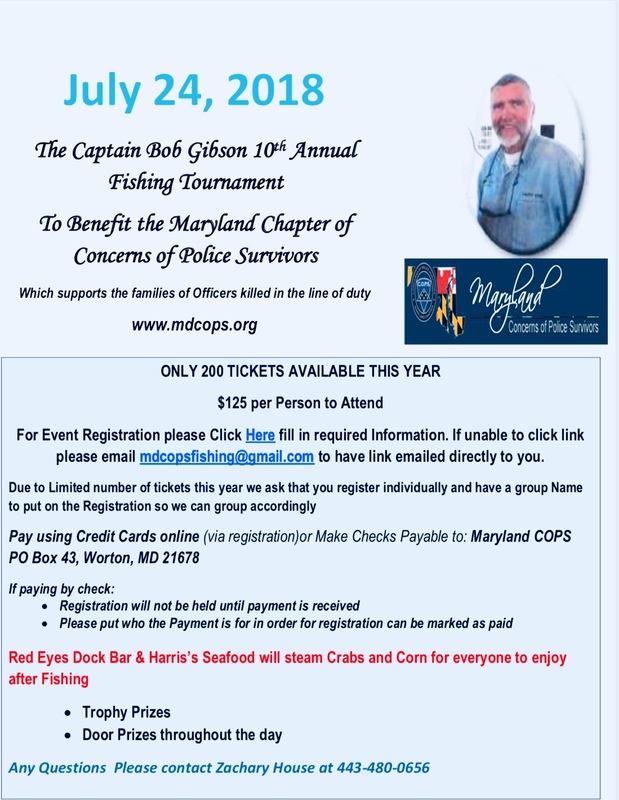 To get on this list, call Capt Zack House, 443-480-0656. Registered fisherman can begin to check in at Red Eyes Dock Bar at 10:00 AM. ALL boats will leave the dock by 1:00 PM. ALL boats will return to the dock by 5:00 PM. Crabs and corn will begin being served at 4:00 PM.